This is a site about do-it-yourself bed bug treatment. I believe that following the instructions laid out in this site will give you the best possible chance of successfully eradicating your bed bug infestation without hiring a professional exterminator. Unfortunately, your chances of completely eradicating your bed bug problem the first time you try still won't be very good. I'd put the odds at about even money. Or for the benefit of those of you who don't play the ponies, if you do everything exactly the way this site tells you to, I give you about a fifty - fifty chance of solving your bed bug problem in one attempt. More likely, you'll reduce your bed bug problem the first time you try, but you'll still need to re-treat some areas. That's okay. Many professional bed bug treatments need spot re-treats, too, so you'll be in good company. Or maybe you'll give up and decide to hire a professional in the end. That's okay, too. 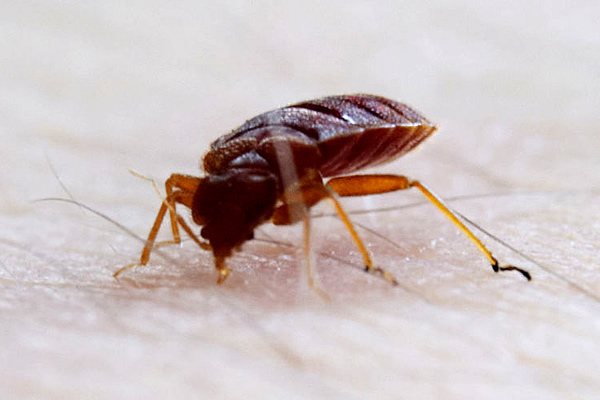 You still will have learned a lot about bed bugs -- and how to avoid them -- in the process. The simple truth is that bed bugs are really, really hard to kill. That's what it comes down to. Even professional exterminators find bed bug control to be extraordinarily challenging. The great majority of DIY bed bugs jobs fail. If you possibly can, I urge you to consider professional treatment. Some people, however, can't afford to hire a professional pest control operator. Bed bug treatment is very expensive (and no, it's not covered by homeowners insurance). There also are people who have other reasons for wanting to do the job themselves, such as pursuing a more "natural" approach that uses less (or no) insecticide. Whatever your reasons, if you're one of those people who need or want to treat your own bed bug infestation,, then this site is for you. But understand that the best I can do is improve your odds of success, not guarantee it. By way of background and introduction, prior to a mid-life career change, I was an exterminator. I was a good one, too. I had a college degree, about 20 years of experience (most of it in the New York City metro area), licenses and certifications galore, and all the best equipment and materials at my disposal. I was pretty good at what I did. Nonetheless, between 10 and 15 percent of the bed bug treatments I did required a second, unplanned visit. And mind you, that was after spending, on average, a full day on the original treatments, with an apprentice to help me. I didn't cut corners. I did my very best, and my best was very good. And yet 10 to 15 percent of my bed bug treatments failed. It was very frustrating, to say the least. And mind you, my failure rate was the lowest in the company. The other techs were averaging between 20 and 25 percent callback rates on bed bug treatments. In fairness, we were all kind of "winging it" back then. Most of us had never encountered bed bugs before. We also had very few products that were labeled for bed bug control. Putting an insect on a pesticide label requires that the manufacturer prove that the stuff actually kills bed bugs, and that requires research, and research costs money. Bed bugs hadn't been an issue in such a long time that few manufacturers had bothered to test their products against them. There was no market to justify the expense. The bigger reason for the high failure rate of bed bug treatments, however, was and remains that bed bug control is just plain difficult. In fact, it's very difficult, even for seasoned exterminators. The miserable little so-and-so's get into everything. In addition, being blood-feeding parasites, they don't touch their food -- blood -- before they eat it, so they don't readily ingest residual insecticides. In short, there is literally no more difficult pest control job than eradicating bed bugs. Which brings me to another important point: Bed bug control requires a lot of hard work. You will be vacuuming and shampooing carpets and upholstered furniture, getting down on your hands and knees treating cracks and crevices, washing and drying all your clothing, and flipping furniture upside-down. It can be exhausting, and you will need a helper for the heavier work. So again, my advice to you is that if you can afford it, seriously consider hiring a professional exterminator to solve your bed bug problem. Seriously. Okay then. Either you can't afford to hire an exterminator, or you have some other reason why you want to try doing it yourself. Maybe you just like challenges. Very well. I can't promise you that you'll be successful solving your bed bug problem by yourself, but I can give you a pretty good fighting chance. So let's get started. I urge you to read all the pages, in the above order, before you start planning your bed bug treatment. Before we begin with the formal lessons, I'd like to mention something for you to keep in mind while reading the site and planning your bed bug treatment: When treating a home for bed bugs, we always start in the areas of low or no infestation, and work toward the area of worst infestation. The reason we do this is to avoid scattering the bed bugs in the area of highest infestation and causing them to flee to previously-uninfested areas. Treat the clothing and belongings usually stored in the infested bedroom, and store them elsewhere for the time being. Perform some preliminary cleaning everywhere in the house except the infested rooms (usually one or more bedrooms). Treat the rooms adjacent to the most-infested rooms, both vertically and horizontally. Treat the walls and ceilings in the infested rooms. Treat all the furnishings in the infested room except for the bed. Treat the bed frame, followed by the box spring, followed by the mattress. If your situation is an unusual one in that the most densely-infested area is some place other than the bedroom, please adjust the sequence accordingly. For example, if your bed bug infestation is in the living room sofa, then that should be the last thing you treat. And if one bedroom is more densely-infested than the others, then plan to treat the most densely-infested bedroom last. If you're ready, then let's get started. Please click here to begin the first lesson. © 2016 RJM Web Design. All rights reserved. Legal and Privacy Policies.